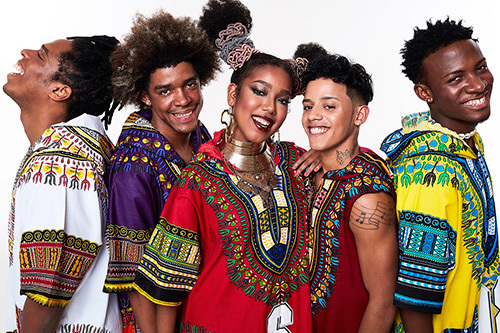 Home News Brazilian funk music sensation Dream Team do Passinho calls for "More Rights, Less Zika"
BRASÍLIA, Brazil – Funk music stars from Brazil’s favela communities are calling for people to “get together for more rights, less zika” in their newest single. The band, Dream Team do Passinho, partnered with UNFPA to produce the song, which has been a hit among concert-goers and on Brazilian radio. The song, titled “More Rights, Less Zika,” urges listeners to use condoms to prevent the sexual transmission of the disease, and draws attention to the fact that Zika is disproportionately affecting poor, marginalized communities. “The fault isn’t the mosquito’s only,” the song says. Dream Team do Passinho and UNFPA staff members discussed the Zika emergency over a detailed three-hour conversation, which helped to inform the song’s lyrics. Dream Team do Passinho is a pop-funk phenomenon in Brazil. Using a boldness, art style and irreverence found in the favelas, their songs have garnered tens of millions of YouTube views, and have inspired collaborations with international artists like Ricky Martin. 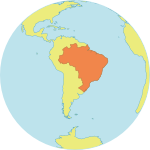 Their music has helped make the passinho, a dance style first popularized by Brazilians of African descent, as popular as the samba or frevo. The group’s members – Lellêzinha, Rafael Mike, Hiltinho, Diogo Breguette and Pablo – all grew up in Rio de Janeiro’s marginalized communities. “We identified with the cause because people who suffer with Zika virus live in favelas and are young African descendents just like us,” said 18-year-old Lellêzinha. “This partnership with Dream Team do Passinho has an enormous potential due to their efforts as artists from the favela to empower youth coming from marginalized and vulnerable situations like themselves,” said Jaime Nadal Roig, UNFPA’s Representative in Brazil. The song is part of UNFPA’s efforts to address the Zika outbreak by strengthening sexual and reproductive health and rights in the country. UNFPA is working with partners to improve access to reproductive health information and care, and to boost contraceptive access, especially among vulnerable and impoverished communities.